Watch Case #11 can be used with or without a dial. To case the movement use the ETA supplied case screws that came with the movement. Do not screw them in all the way, back them off just enough so that the screw head just touches the case back, when the case back is closed to a waterproof seal. "How to Case a Skeleton Movement Without Dial in Case 11"
The Domed Mineral Glass is 37.50 mm in diameter 1.50 mm thick at the sides and thins out to 1.2 mm thick in top center. 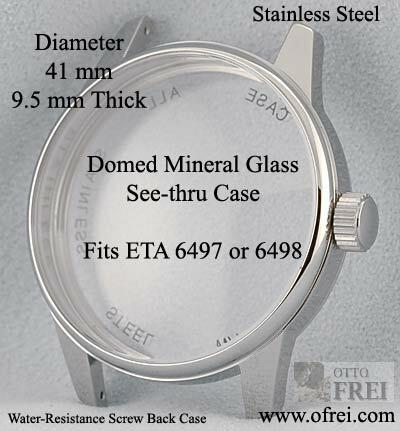 The bottom is 36 mm flat mineral glass on this 41 mm see-thru back watch case. Comes with a large 7 mm diameter Tap 6 (1.20 mm) waterproof crown that fits the 2.5 mm crown tube on the case. The case is custom made to fit the popular ETA 6497-1 & ETA 6498-1 movements that are 16.5 ligne size (36.6 mm) and 4.5 mm thick. Case does not use a movement ring to hold movement size due to the exact fit of the case to the movement. Simply install the case screws supplied with your movement, backing them off until they just touch the case back after a waterproof seal is made when closing the case tight. See the above YouTube Video on casing this movement. 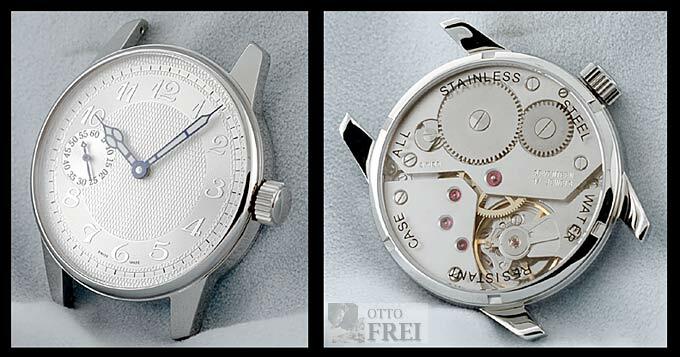 Dial Diameter needed for this case can be 36.5 mm to 37.2 mm in diameter, the visible dial opening diameter is 36 mm. 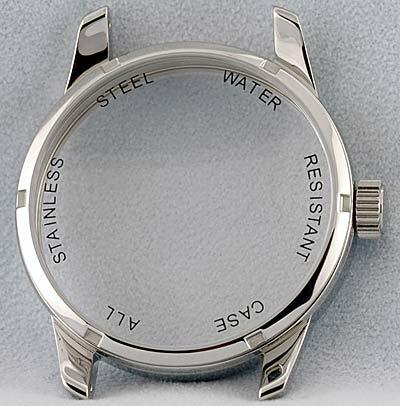 The case lug size for a watch strap or bracelet is 20 mm. 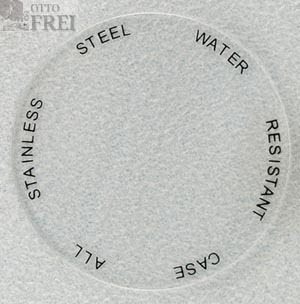 Stainless steel case is a screw off back and water-resistant to 5 ATM, replacement case back gaskets 37.50 mm by 0.60 mm are available. This 41 millimeter diameter case is only 12 mm thick. Stainless steel case is a screw off back and water-resistant to 5 ATM, replacement case back gaskets 37.50 mm by 0.60 mm are available. The case is custom made to fit the popular ETA 6497-1 & ETA 6498-1 movements that are 16.5 ligne size (36.6 mm) and 4.5 mm thick. Case does not use a movement ring to hold movement size due to the exact fit of the case to the movement. Simply install the case screws supplied with your movement, backing them off until they just touch the case back after a waterproof seal is made when closing the case tight. See the above YouTube Video on casing this movement. This 41 millimeter diameter case is only 12 mm thick. Case 11 with sapphire glass has printed on the back of the case WATER RESSITANT ALL STAINLESS STEEL SAPPHIRE CRYSTAL The ink printing reportedly is hard to remove requiring a very strong paint/ink remover. In our opinion it is not worth the trouble, since no one but the owner will be seeing the back of the case. Replacement crown 7 mm diameter, 2.5mm tube opening, Tap 6 size for stem diameter 1.20 found on the ETA 6497 & 6498 movements. 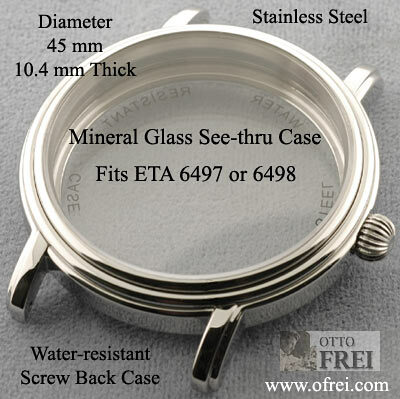 Fits 41 mm diameter Otto Frei watch cases Ofrei style #10 and style #11 for ETA 6497-1 and 6498-1 movements. 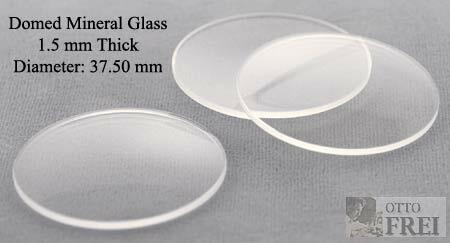 1.5 mm thick by 37.50 mm in diameter. Fits 41 mm diameter watch case style #10 for ETA 6497-1 and 6498-1. 1.2 mm thick by 36.00 mm in diameter. Fits 41 mm diameter watch case style #10 for ETA 6497-1 and 6498-1. Works with the case back crystal on OFREI-CASE10 and OFREI-CASE11. Unitas and ETA 6497 & 6498 take hole size 0.27 mm.